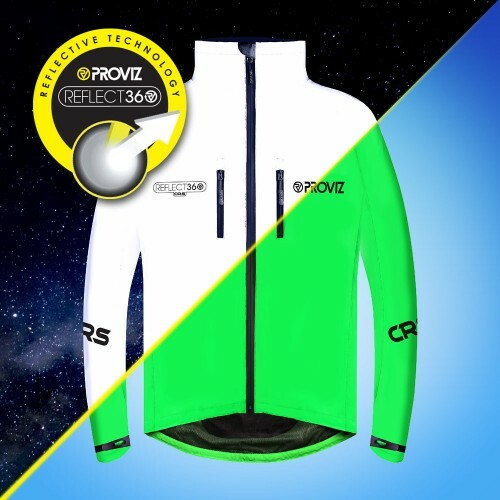 Die neuste Jacke im Bestseller-Sortiment von REFLECT360, die jetzt in mehr als 40 Ländern verkauft wird, die REFLECT360 CRS (Colour Reflective System) Radsport-Jacke, ist die erste Radsport-Jacke, erhältlich in sechs leuchtenden Farben, die tagsüber „normal“ aussieht, doch aufgrund unseres innovativen zu 100 % reflektierenden Materials aufleuchtet, wenn es nachts von den Scheinwerfern eines Fahrzeug erfasst wird. Diese Jacke definiert Innovation im Markt für Radsport-Bekleidung neu. Die REFLECT360 CRS Radsport-Jacke verfügt über mehrere Lüftungsöffnungen – vorne, Schulter/Rücken und unter den Armen. Die ermöglicht es dem Träger, seine Körpertemperatur zu regulieren. Durch Öffnen der vorderen Reißverschlusslüftungsöffnung kann Luft durchfließen. Die Luft dringt in den vorderen Lüftungsöffnungen ein, kühlt den Körper und tritt an den Lüftungsöffnungen an Schulter/Rücken aus. 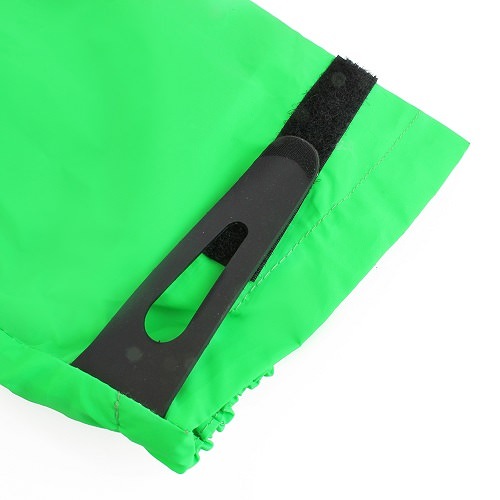 Im Winter können die Lüftungsöffnungen geschlossen werden und bei Bedarf können sie auch als zusätzliche Taschen verwendet werden. 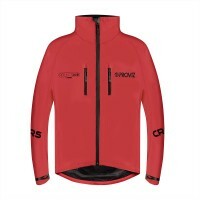 Die Merkmale ermöglichen es, die Jacke das ganze Jahr über zu tragen. 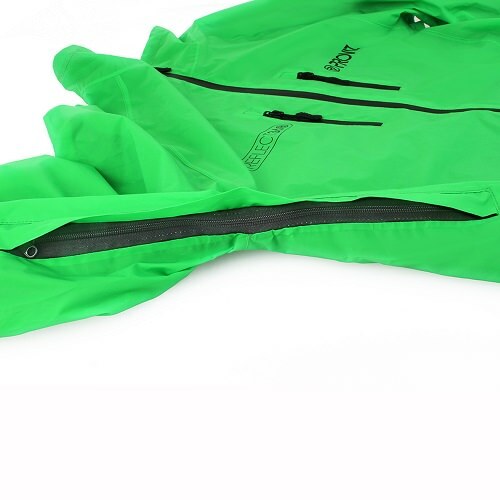 Die Jacke hat außerdem eine innere Brusttasche und größere Taschen an den Lenden, um weitere Kleidungsstücke oder eine Karte unterzubringen. Über den Stoff: Das Material verfügt über Millionen von winzigen reflektierenden Perlen, die im Material eingebettet sind. Wenn ein Fahrzeugscheinwerfer die Jacke erfasst, werfen die Perlen das Licht zurück zur Lichtquelle, sodass der Fahrer den Radfahrer weiter im Voraus als normal kann und entsprechend manövrieren kann. Quite expensive but very happy overall. 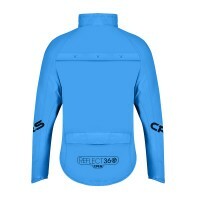 Awesome jacket for my night commutes now the clocks have changed. You can't miss me now!! 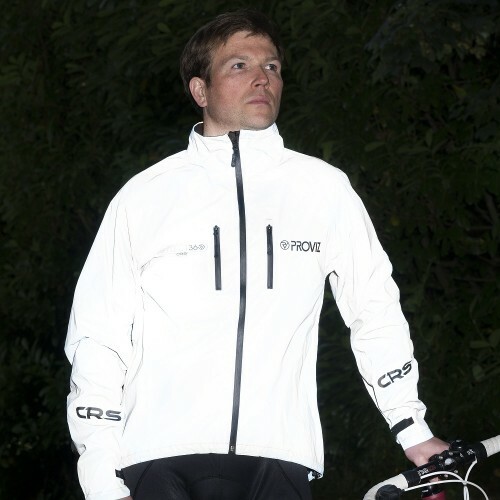 Such a great jacket, I did have your reflective one before which was really good but this is so good at day and night, plus it's a really nice jacket not just for cycling as it looks great. Great product ideal for my winter commuting in Sydney. Been tested in the rain and the night. I've even had comments from others about how it shines which has impressed me. 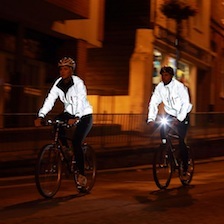 It is interesting, but not surprising, how many of your jackets I now see around when cycling in London. 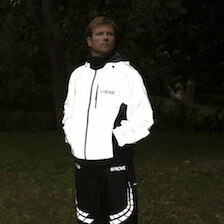 When my old jacket gave up in during the winter I decided to try your new reflective one and I have been inmpressed. 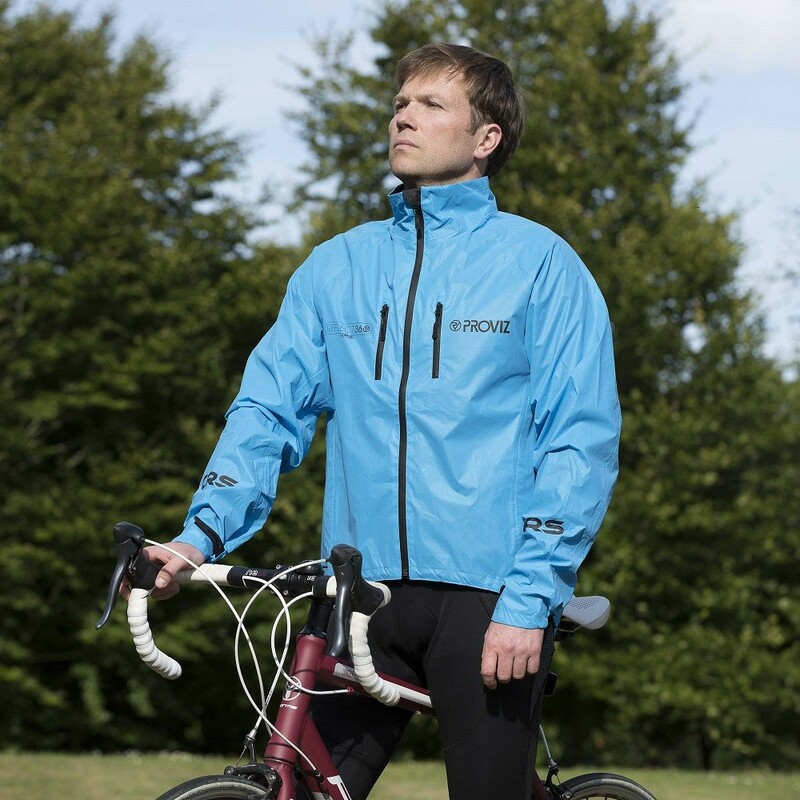 I have most enjoyed the reflectiveness which goes without saying and i definitely feel I get more space given on the roads, but this jacket is not just about your usp. 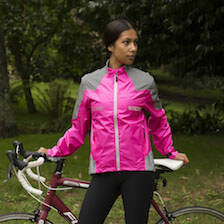 The jacket is well tailored with good length arms, lowered back, waterproof zips, pockets etc. 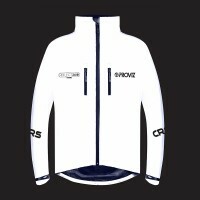 I am very pleased I went for one of your CRS 360 jackets and I note you have another version coming soon!! 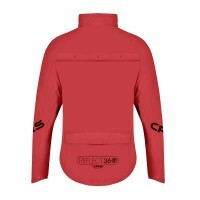 I also bought one of your 360 rucksacks for christmas present that also went down well. Used a blue colour all winter in Portland and I have been pleased. Waterproofing, build, extra detail, all good. 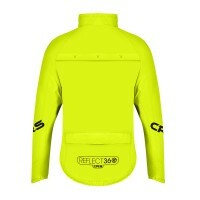 Reflective - crazy good. Had so many comments I've lost count. 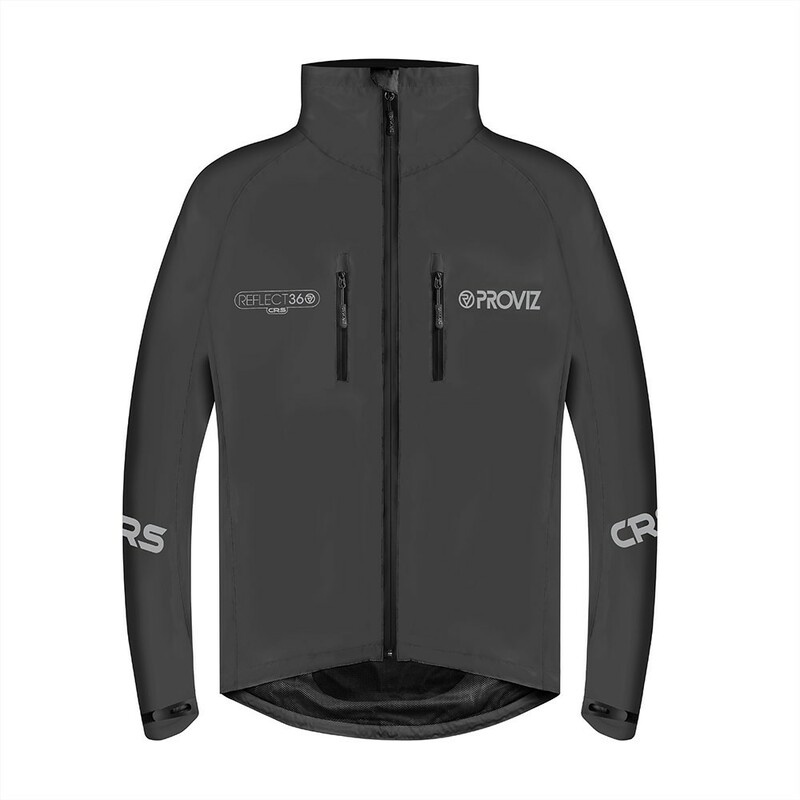 I have notice the CRS+ Gilet/vest is coming soon - I'll be back. 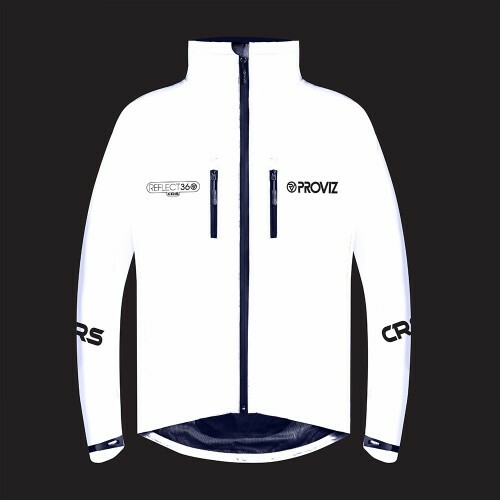 Can't wait for the vest! I'd LOVE to see this in a vest. 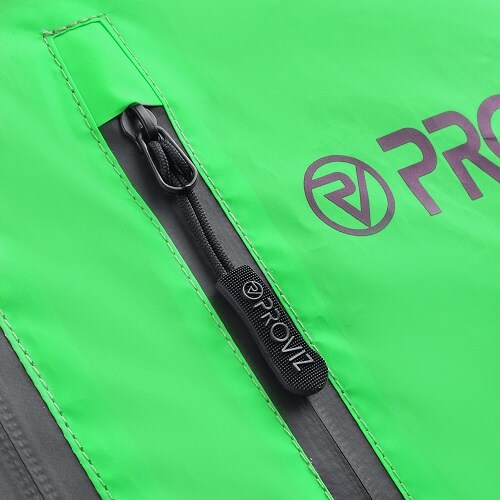 (I already have two older model Proviz jackets, and after years of daily winter use they show no signs of wear. I wish they did, so I'd have an excuse to get this model). If you make it as a vest, I'll be sure to get one! 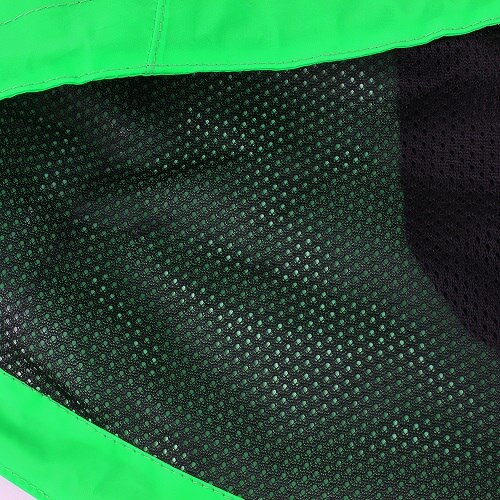 Lots good detail on the jacket and fits well. Particularly like the fleece collar, nice touch. i have had the jacket for about a month and put it through a thorough test of scottish weather. 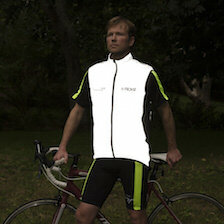 Keeps me dry, warm and most of all visible. It seems almost every day I get a positive comment. Love the green colour, I feel unique on the roads and I think it has been well thought out with good detailing. I have recommended you many times! I am very happy with the coloured reflective jacket from Proviz. 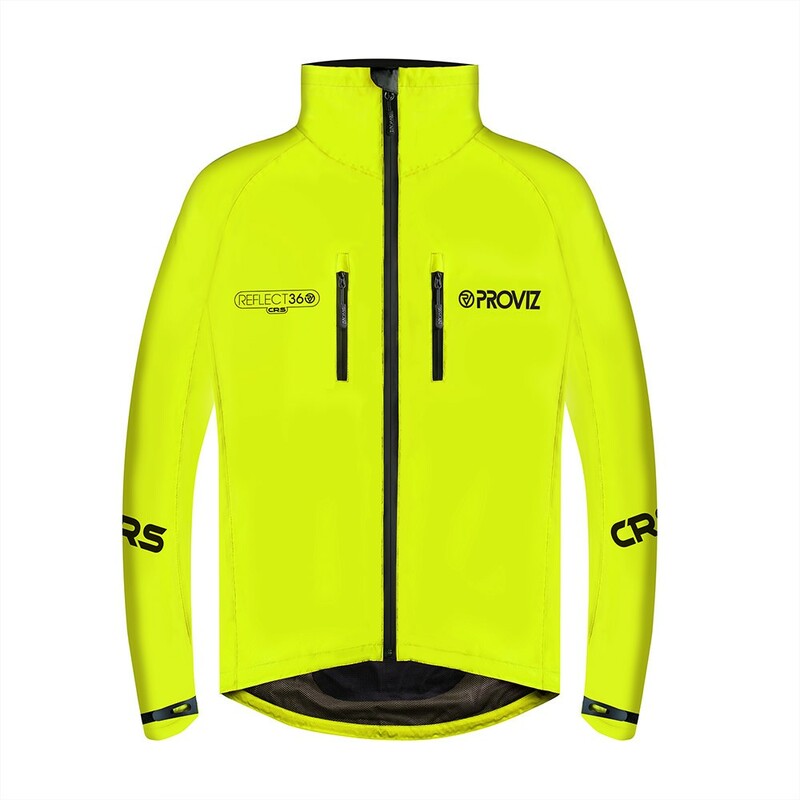 Positives - bright at night is a given, colour option by day is a bonus, lots of nice little things like zip puller (not sure of the name!) 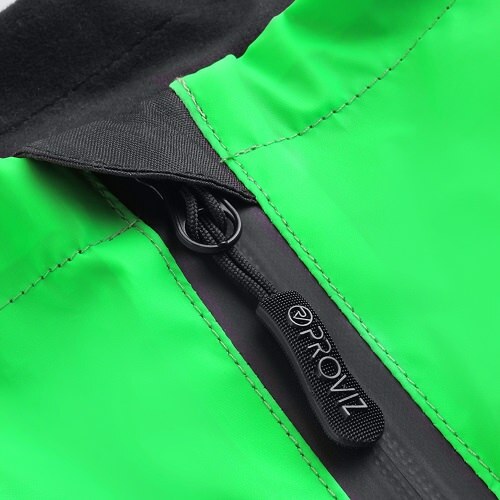 pockets, ventilation. All great. Negatives - I get asked a lot about the jacket. Just joking, this obviously means it is doing the job I bought it for. 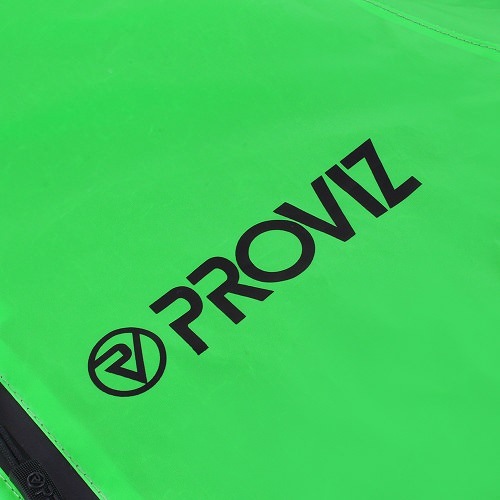 There a few things I am very impressed about this jacket and also Proviz in general. The jacket - what is not to like. a) the colours - I have the green one and it is a great colour, not your average dull green but a really fantastic looking one, bright by day. 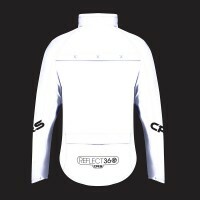 b) the reflectivity is amazing. 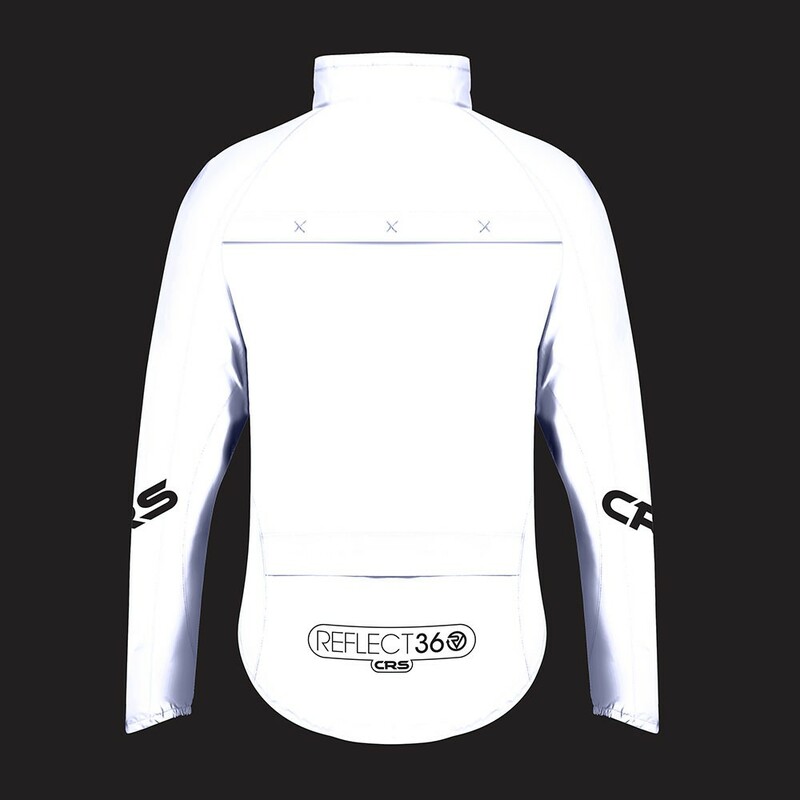 I ride a lot at night at this time of year and I have only had this jacket for about a month and I have lost count how many times i have either been stopped at the lights and also a few times by a car and also a bus driver opened his door and told me - to me that says it all! The company - great customer service. I called them as I stupidly ordered the wrong size. The lady I spoke to said it had been dispatched but said she'd go and check and call me back. She managed to pull it out of the pile to go out and got it changed for me. That is customer service! 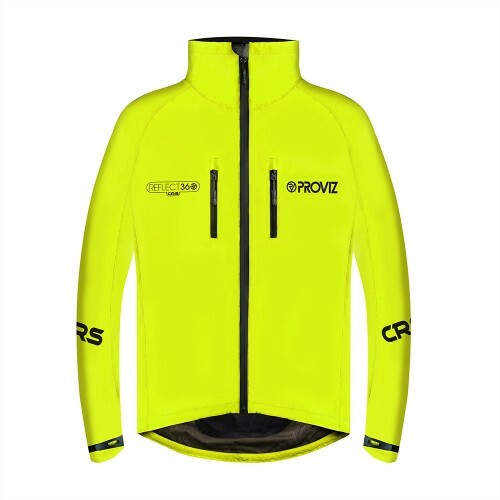 Amazing product,it really lights up when light hits it! True to size and the customer service was helpful and shipping was fast. 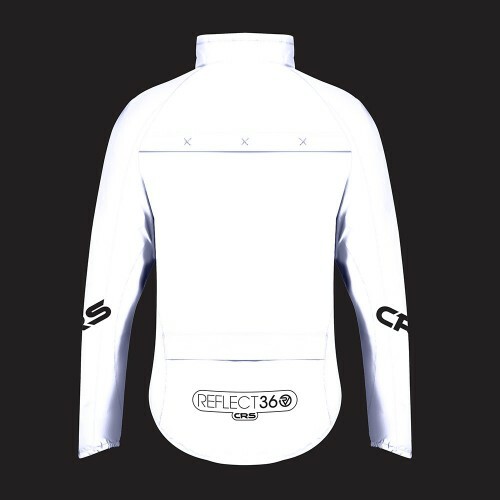 I would recommend this product for anybody riding at dust or at night. Great to discover your brand recently. So nice to come across a brand delivering exceptionally bright products at night, there is no other brand that does this like you guys. 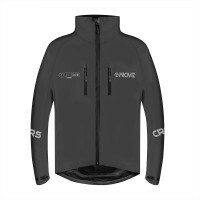 I am of this opinion after the CRS jacket I recently purchased. Love the way you have all the colours (I chose green) and yet by night it is bright white, so good. I'll be back for more product this Christmas for the family. 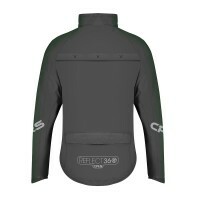 Have used my jacket on a few journeys now and pleased to say it is waterproof as well as reflective, the colours are amazing. 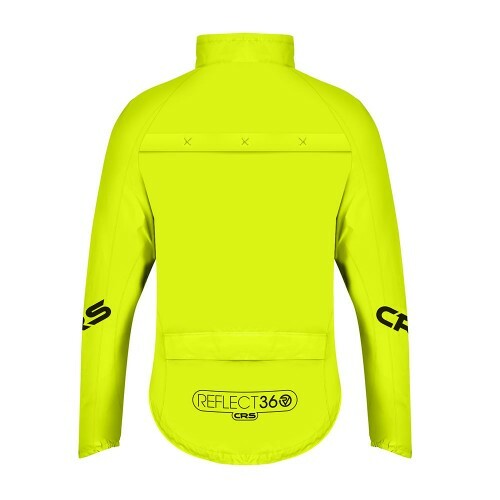 I was in search of some safe and most importantly reflective cycling gear. 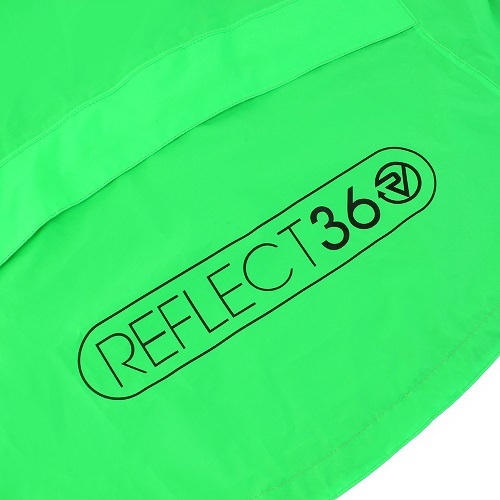 I wanted something where the majority of the piece was reflective, instead of just a few small strips of reflectivity. I couldn't believe how few companies have bought into this concept. 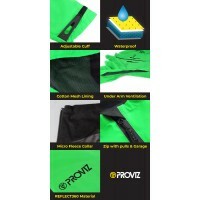 I commend ProViz for making such an innovative product. I just received the jacket, it's fantastic quality, and fits true to size. 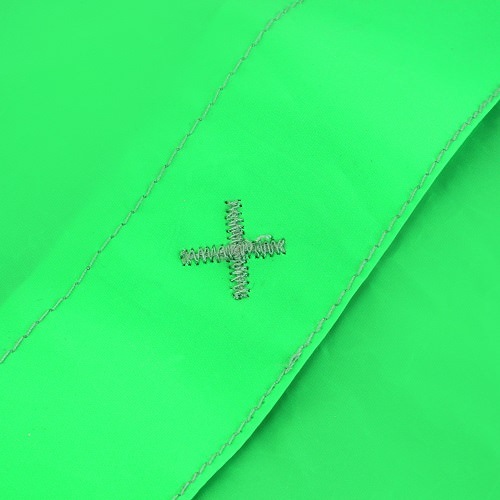 It's also cut nice and tailored so you won't have to worry about any bagginess. I'll update this review after a few more rides with the jacket, particularly as the weather gets colder. 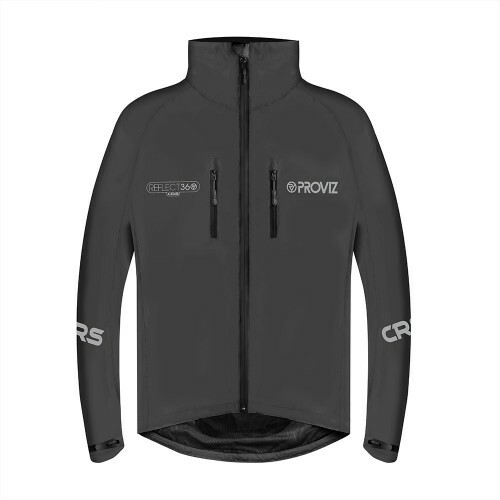 I believe two solid base layers and this on top will get me through most, if not all of the winter riding I'll be doing. 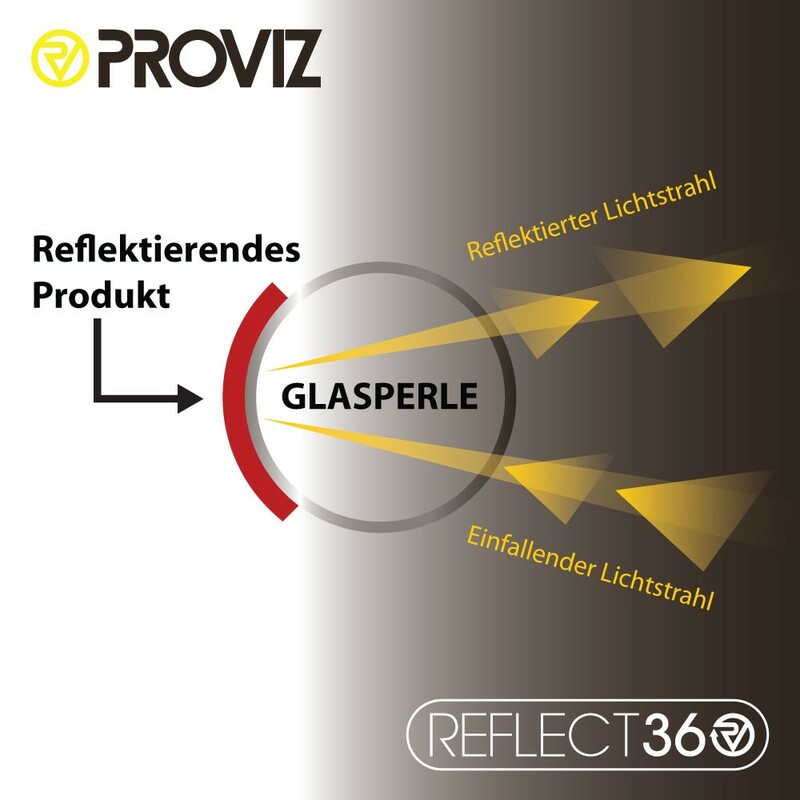 Durch Millionen von hochreflektierenden winzigen Glasperlen ist die Erscheinung der REFLECT360 CRS Jacke fast geisterhaft im Scheinwerferlicht eines Fahrers! 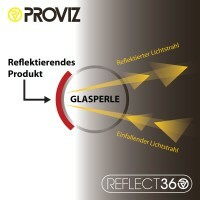 Dies ist ein einzigartiges Farben reflektierendes Material, exklusiv für Proviz. 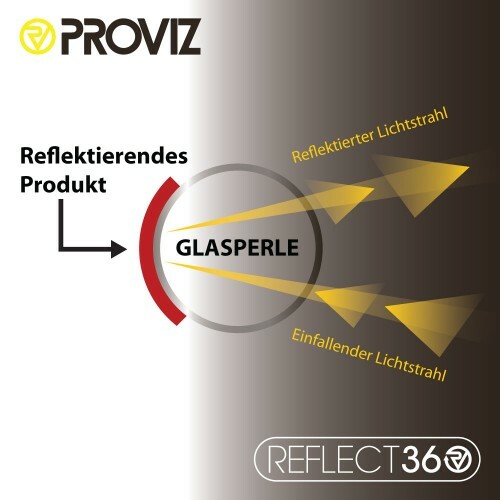 Das Material ist außerordentlich wasserdicht (5.000 mm) und eignet sich ideal für Regentage. Die inneren Nähte sind versiegelt, damit kein Tropen Wasser durch sie hindurchdringt.